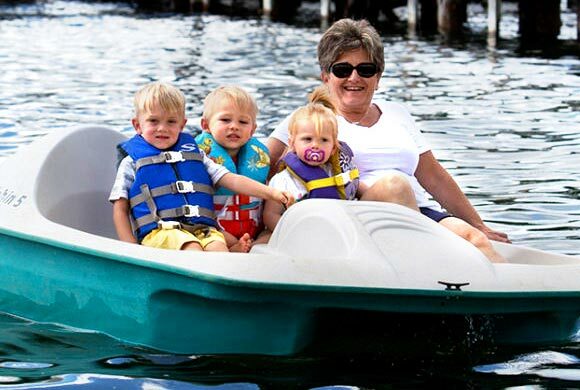 Explore our Resort on Lake Winnipesaukee! 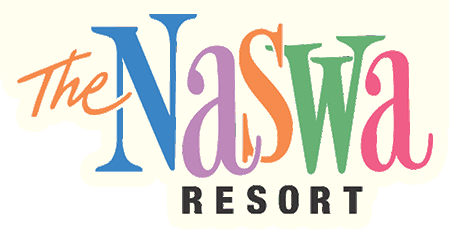 The NASWA Resort map! So many visitors have loved our lakeside resort for decades. Please take a look around our resort facility below and browse our photo galleries to get better acquainted with our Lake Winnipesaukee beachside location! It’s the place to take your summer vacation! 10 double suites with two double beds, 2 king suites and sleeper sofa, full kitchen, cable TV, air conditioning, and includes patio or balcony. Relax in one of our Inn rooms with the choice of one king or two queen beds, balcony, cable TV, and air conditioning, located in the Inn building across the street from the Lake. Paugus Suite has three bedrooms. One has a full king bed, full bath, and balcony, and the other two have two queen beds. The Paugus Suite also includes a second full bath, living room, full kitchen, and second balcony. Choose from our one-room cottages with two double beds, refrigerator, sink, and microwave, or our two-bedroom cottages with full kitchen. All include TV, air conditioning, and screened-in porch with views of Lake Winnipesaukee. Lunch, Dinner, and Drinks… on the Beach! Brilliantly Crafted Cuisine. Open for Breakfast, Dinner, and Cocktails! Choose from 10 Terrace double rooms with private patio, 18 Beachside rooms with balcony, or two Beachside king rooms with balcony. Rooms have coffee maker, cable TV, and air conditioning. Choose from our one-room cottages with one queen bed, refrigerator, sink, and microwave, or our two-bedroom cottages with full kitchen. All include TV, and air conditioning. Most with views of Lake Winnipesaukee. Resort entrance, Front Desk, Naz Shop, and Blue Bistro.